In 2014, employees saw a 10 percent decrease in their average single Health Savings Account (HSA) employer contribution from the previous year, from $574 in 2013 to $515 in 2014, according to new data released from the 2014 Health Plan Survey of United Benefit Advisors, the largest health benefits survey in the nation. Average family contributions also decreased 7 percent during the same period, from $958 to $890. 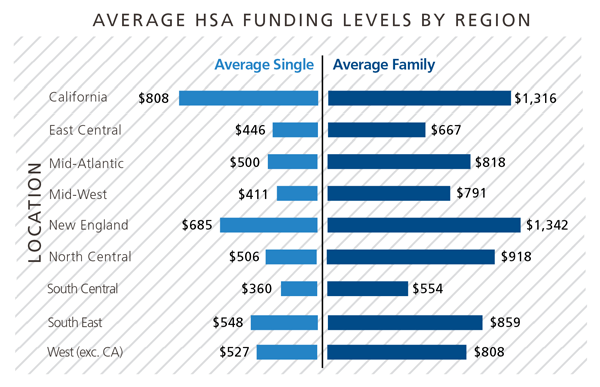 Survey results reveal a correlation between enrollment in HSAs and Consumer Driven Health Plans (CDHPs), linking higher HSA contributions to increased enrollment in the cost-saving plans.